Antique Brass Bag Drop Catch. This replacement drop catch is for flap over handbags. 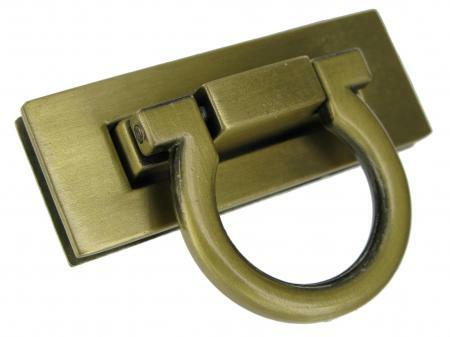 It is Antique Brass coloured and is made to locate through a brass opening on the flap of a handbag.